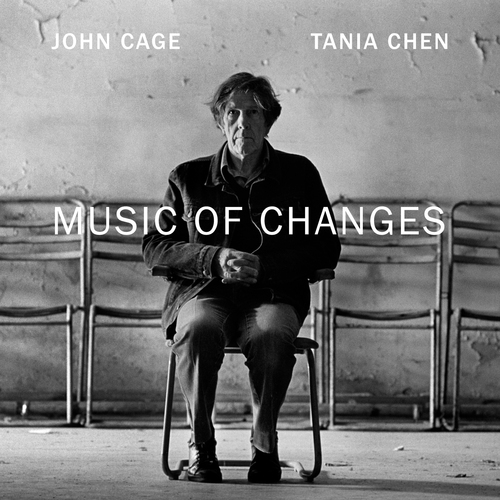 Perhaps more than any other composer of the last century, John Cage (1912-92) thoroughly revised approaches to the acts of composing, performing and, above all, the practice of listening associated with music. His Music of Changes (1951) is not only a monumental pivotal work in relation to his own oeuvre, but also modern music in general. It is the work that consolidates Cage’s predilection for devising new systems, which objectively bring sounds into being, and lays the template for various investigations and processes which underpinned his later work. 1951 was a significant year for Cage; he was, in effect, a mid-career artist with a wealth of experimental pieces behind him, most of which had explored percussive sounds and noise in strictly managed rhythmic structures. He had also already attempted to harness various fledgling technologies in order to approach his vision of electronic music and, most famously, had invented the prepared piano, whereby the sounds of the piano are transformed by bolts, rubber, screws and other hardware, and which preoccupied Cage for most of the 1940’s. It is clear from his correspondence at the time that by the late 40’s Cage felt the need to form a new and clear working method, and had been feeling his way toward this in his current compositions, in particular the Concerto for Prepared piano and Orchestra (1950-51) which dramatically moves towards inexpressivity and si- lence. For this work Cage had devised various charts con- taining information as regards durations, sounds and their combination within a strict rhythmical structure. It was during work on the last movement of this composition that Cage’s pupil Christian Wolff showed him a newly printed edition (published by his father’s press) of the I-Ching – the ancient Chinese book of changes. Cage was immediately struck by the similarity of the layout of the hexagrams and the charts he had been using in the concerto, and set about adjusting his system for the final movement in order to use the I-Ching for determining the remaining events. It was at this point that Cage sketched the structure for a new large scale piano piece, developing charts which could more easily accommodate the structuring of the I-Ching itself (which consists of 64 hexagrams). In his earlier work Cage used structure to govern macro- micro relationships, whereby the smallest units of the work will be subdivided in the same way as the larger structural divisions. During the 1940’s the rhythmic structures oper- ated rather like a durational equivalent of a twelve tone row – that is, ensuring compositional coherence and semantic unity. In the preparatory work for the Music of Changes the relationship between the structure (3 - 5 - 63⁄4 - 63⁄4 - 5 - 33/8) the sounding events, and their continuity / discontinuity become more complex. Firstly, Cage now employed a spatial approach to the structure – in that relationships are measured with a ruler on the page (2 and a half cm = a crotchet) and through the use of fractions allowed for subtle shifts of tempi and durational expression. Secondly, related to this flexibility, Cage used the structure to initi- ate chance operations in order to determine important changes regarding the nature or formulation of events (which eventually led to his critique of ‘structure’ – but not process - as unnecessary in itself). As he recalled: “At the beginning of each small structural division, at the beginning, and again at the fourth [after the first structural division 3] and ninth measures [after the second 5] and so on, chance operations determined the stability or change of tempo.” Pianist David Tudor, for the first performance worked hard to translate the spatial ratios into real-time performance, the result of which could be experiences as subtle accelerandos and rallentandos. In terms of the musical materials for the piece, they were, as usual, exquisitely chosen by Cage. These include de- tailed approaches to pedalling, attack, harmonics, clusters, single tones, complex aggregates, and noises performed with percussive beaters on the strings or piano construc- tion. The means of assembling the context for these mate- rials, via numerous charts for durations, amplitudes, tempi, aggregates and superpositions etc., was painstaking and exacting. Cage set himself various rules in relation to mobility and immobility (another characteristic of the I-Ching whereby one hexagram can transform itself into another) when extracting events from the various charts; as he recalled: “immobile = [the event] remains and is capable of repetition, mobile= disappears once it has been used, bringing a new sound to its position on the chart...” This was clearly an important aspect of the piece. Significantly, Cage wrote to Pierre Boulez that “At this point my primary concern became: how to become mobile in my thought rather than immobile always. And then I saw one day that there was no incompatibility between mobility and im- mobility and life contains both. This is at the basis of the manner of using the I-Ching for the obtaining of oracles.” Each element required the tossing of coins to arrive at a hexagram, which in turn was translated into a number relating to the charts. Here Cage was determining with each computation, through the oracle of the I-Ching, which chart, whether sound or silence, mobile or immobile etc, would be used at a particular point in time. The process of coin tossing was extremely time consuming, and many a visitor to Cage was enlisted to this arduous task while he was working on the piece. If Cage’s percussion works of the 1930’s and 1940’s, albeit obliquely, display the residual allegiance to pre– war modernism, for example, his teacher Schoenberg’s emphasis on structure, the clarity of architectural design and method as found in certain constructivist outlooks, the Dadaist and Futurist championing of noise etc., then the Music of Changes and its surrounding works look elsewhere. Central to this change is the dialogue with the young Boulez, who was to aggressively announce the arrival of the post-war avant-garde with his polemic Schoenberg is Dead. Here Boulez referred to the ‘Schoen- berg checkmate’ – whereby the 12 note series acts simply as an Ur-structure for thematic and motivic unity, while the formal elements of the language are of ‘non-serial rhetoric’. Boulez’s correspondence with Cage is important for his outline of total serial works – with highly complex generative and refractive approaches to the series - such as Polayphenie X, and also significantly, an aborted vocal work based on Mallarme’s A Dice Throw. Such discussions with Boulez seemed to open up the necessity for Cage to explore a situation of maximum complexity and mobility. The Music of Changes clearly reflects this and, unusually for Cage at this point in time, also has some affinities with the serial method: “All twelve tones were present in any four elements of a given chart,” he told Darmstadt in 1958, “ whether a line was read vertically or horizontally. Once this dodecaphonic requirement was satisfied, noises, repetitions of tones were used with freedom.” The procedures also created a denser space of activity than previous works, due to the superimposing of up to 8 layers of materials drawn from the charts at any given time.